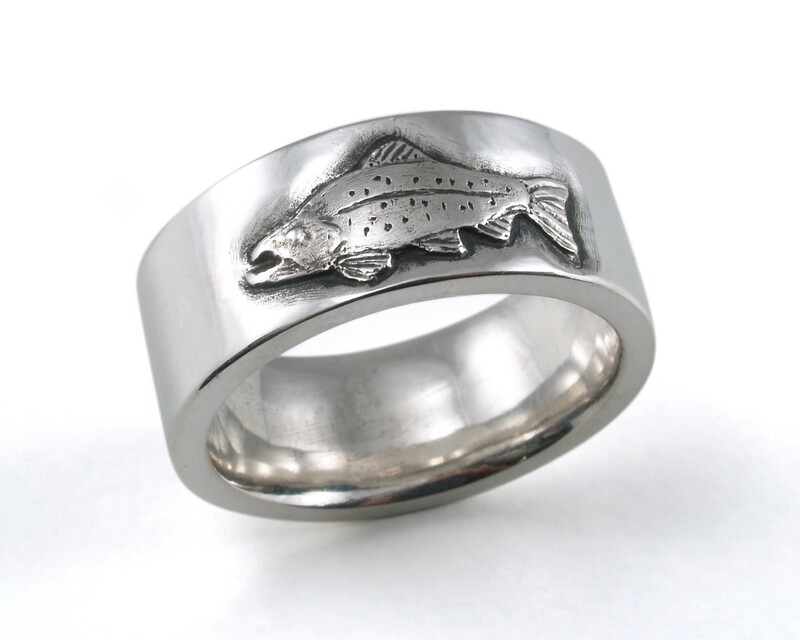 This ring was cast using a mold that was hand carved by an avid fisherman. The details are accurate and amazing! Let us know your size and we will make one just for you.